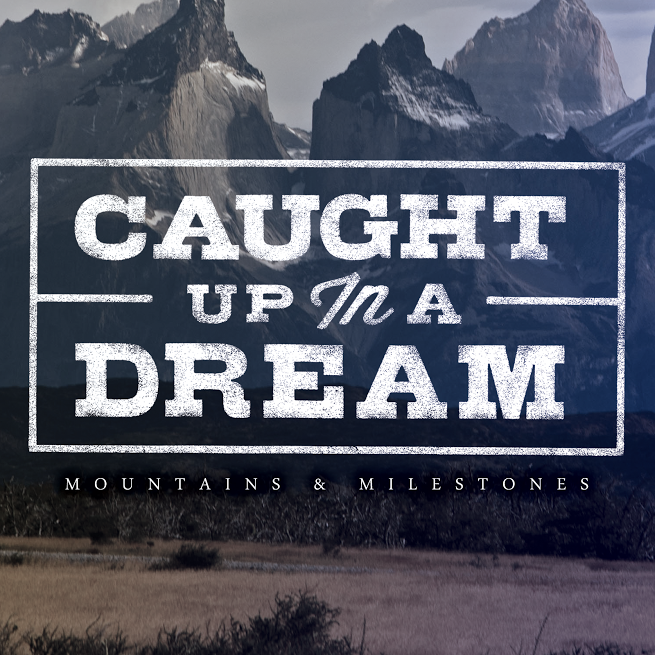 Dylan Bowers of Caught Up In A Dream just released his debut EP, Mountains & Milestones. It features his single “Reocurring Arguments Can Harm Everyone’s Lives” and 4 other tracks. My favorite track is titled “If You Were A Deer In The Road, I’d Try To Hit You” because of it’s pop qualities. The clap track and harmonies really help to make the song catchy. I also enjoy “West” because of the story he tells with his lyrics and the song’s dynamics. It is evident that Dylan writes honest, true lyrics and has a strong connection with all of his songs. In the end, I believe that this is a great way to start off his musical career with Caught Up In A Dream. He should be proud of this debut record and I’m looking forward to his future releases. Be sure to check out his fill in the blank responses and his EP, Mountains & Milestones, using the links below. This entry was posted in Album & Track Reviews and tagged acoustic, album review, Caught Up In A Dream, CUIAD, Dylan Bowers, EP review, mountains & milestones, pop, review, singer-songwriter. Bookmark the permalink.